Case of 36 premium grade 10oz Orca Coated Durham mugs. Dishwasher proof. 90mm high x 80mm diameter. Price for 1 - 4 £36.95 ea. Price for 5+ £35.95 ea. 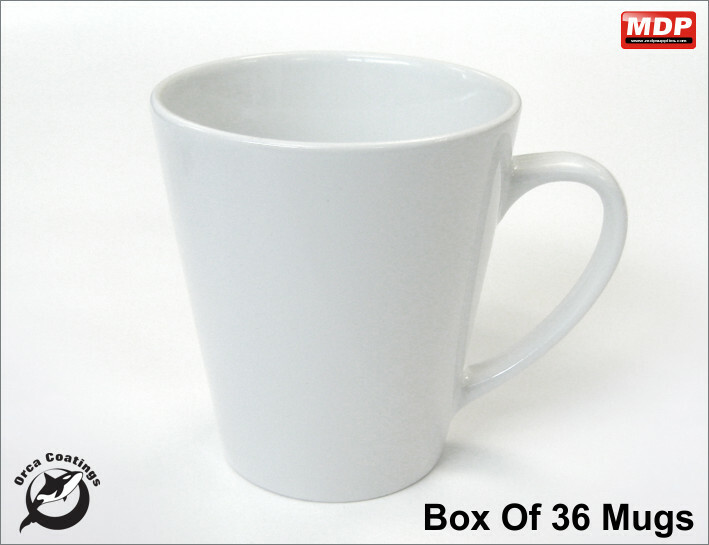 Case of 36 premium grade 12oz Orca Coated latte mugs. Dishwasher proof. 100mm high x 90mm diameter at top. Use 12 Oz Latte mug element. Price for 1+ £41.95 ea. 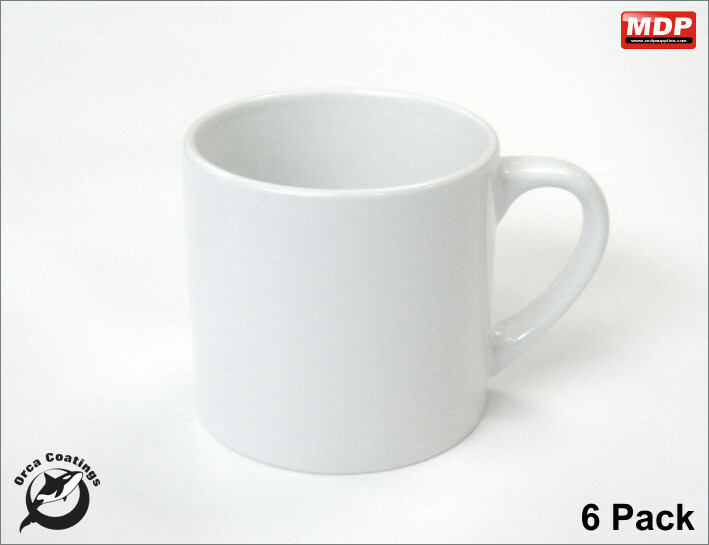 Pack of 6 children's cups for sublimation. Each cup is indiviudally boxed. 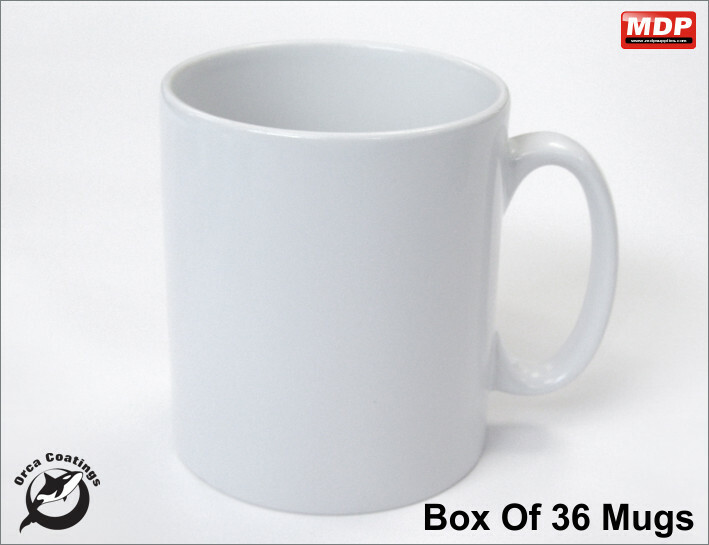 Case of 36 premium grade 10oz Orca Coated Chester mugs. Dishwasher proof. 105mm high x 70mm diameter. Case of 36 premium grade 10oz Orca Coated Buxton bone china mugs. Dishwasher proof. 105mm high x 75mm diameter. Price for 1 - 4 £62.95 ea. 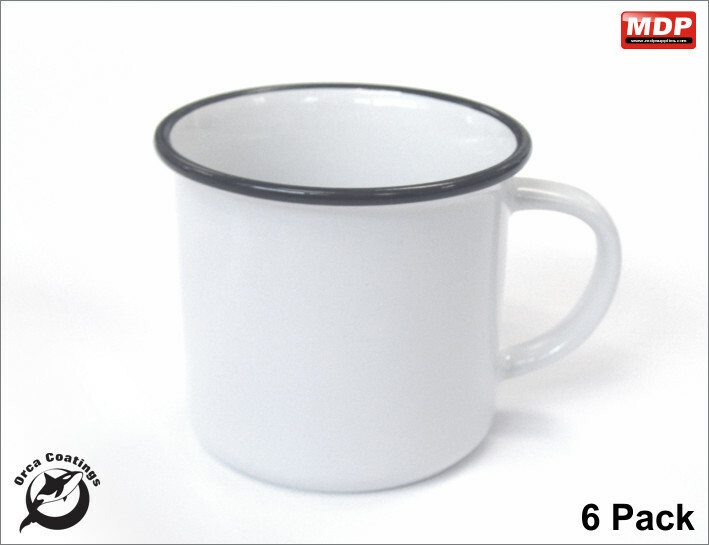 Pack of 6 ceramic mugs with black edge. 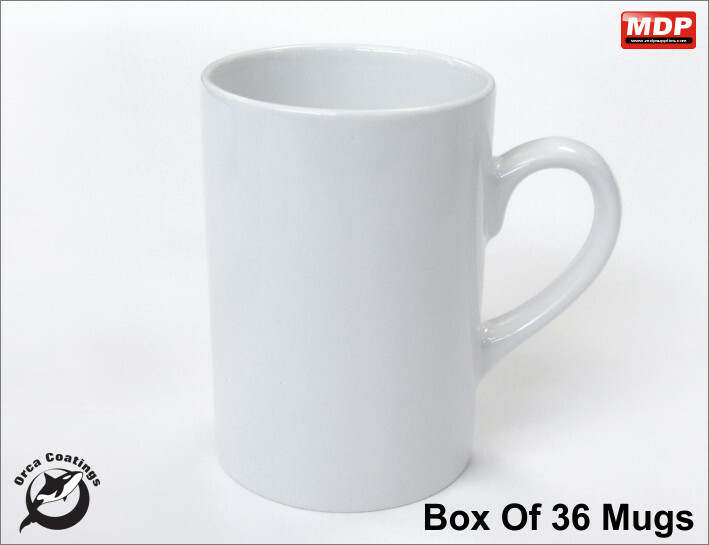 Mugs are individually packed in white boxes. Dishwasher safe Orca coating. 80mm high x 80mm diameter (excluding lip). Price for 1+ £9.95 ea. 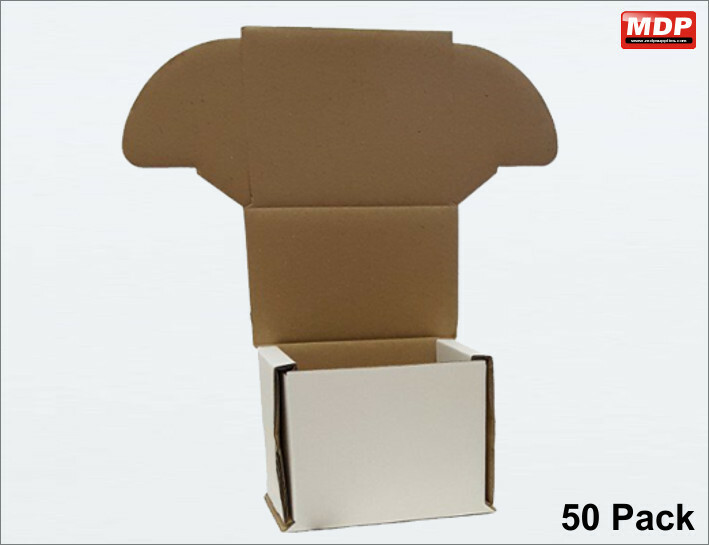 Double walled cardboard box for 10 Oz and 11 Oz mugs. The box has a white outside, making it look great as a gift box and the double wall cardboard gives the mug maximum protection. Sold seperately. Price for 1+ £0.25 ea.